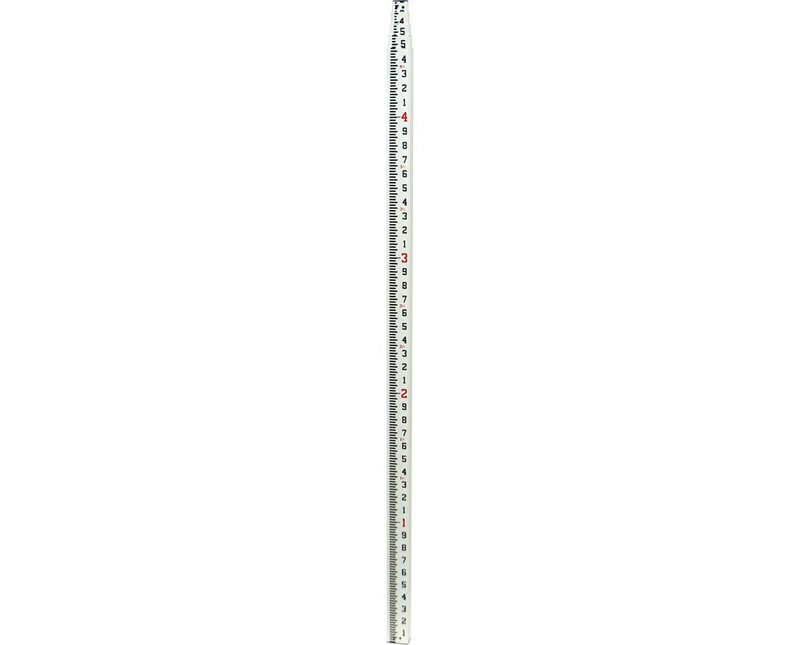 The Crain 20 Foot CR Series Grade Rod is a quality leveling instrument designed to simplify construction jobs and help users reach greater efficiency. With a rectangular shape and rounded back corners, it is designed for easy gripping. The shape of the grade rod also enables the direct connection of a laser detector without the use of a special bracket. With a non-conductive fiberglass construction, it is built to withstand challenging conditions as it is water-resistant and corrosion-resistant. 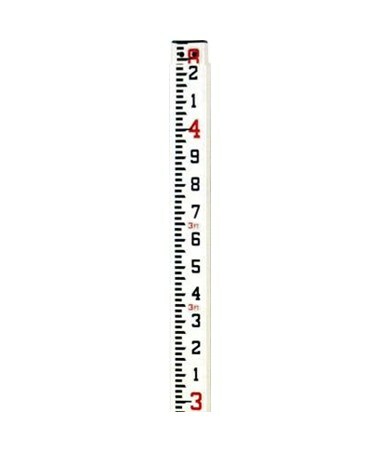 With five sturdy sections, this leveling rod has a maximum extension of 20 feet and it collapses to 57.75 inches. It delivers an ideal level of support as it is equipped with unbreakable locking buttons that hold each section in place. For better viewing, it has sharply defined, glare-resistant graduations in feet/tenths. The scale width is also graduated to fill the entire face of the grade rod making it easier to read in the field. 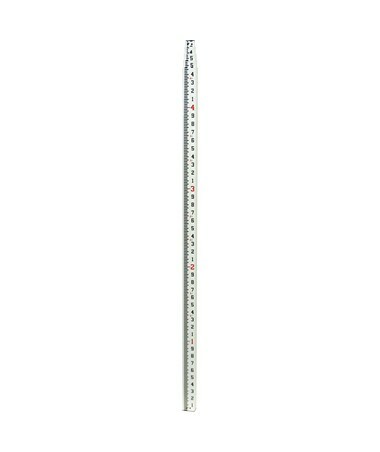 When determining clearance or height measurements, this construction rod is useful with its backside special measuring scale that allows height to be read at eye level. Special molded ribs also protect the scales from wear allowing longer usage. A 1-year warranty is included.